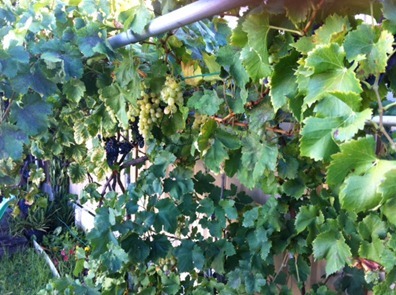 This is my tiny grape vine ( I come from the Mediterranean, grapes are a must). The grapes are super delicious and juicy. 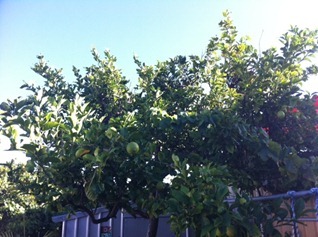 Here is my lemon tree. Easy to grow, lots of fruit, and use it for everything. Tea, salad dressings etc. 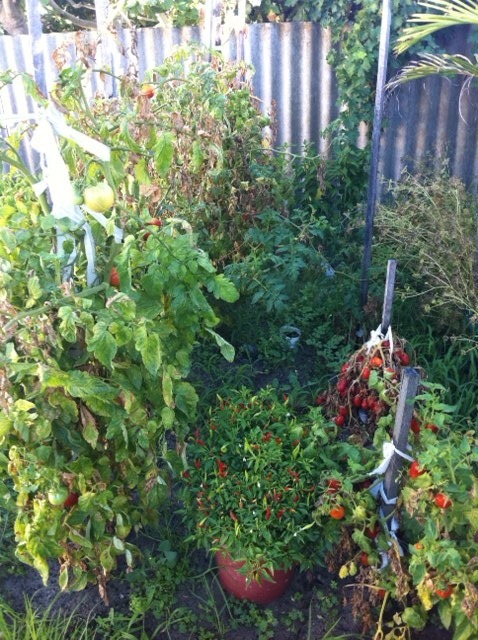 Here are the tomatoes. 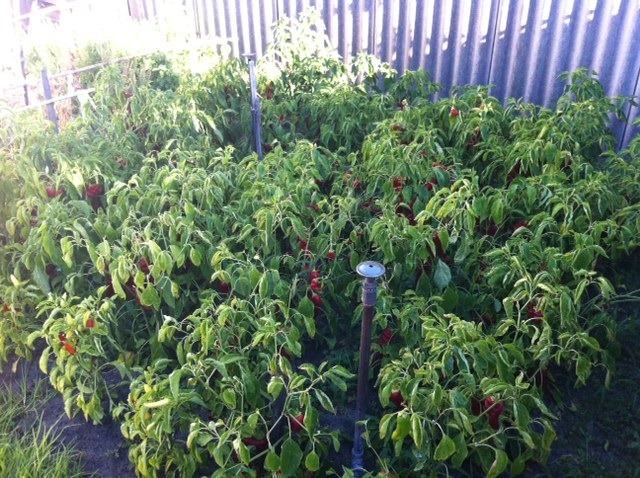 They are on the way out as the intense summer heat is killing them. Ultra sweet though. Between them are some chillis. Super super hot after years of selective breeding. 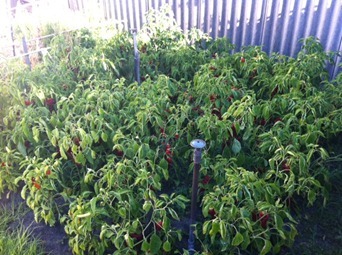 My peppers/capsicums/chilli etc. Why so much? My parents and grandparents use them to make this delicious vegetable paste called Ajvar. Small ones are hot, big ones are juicy and slightly sweet. Grill them on a BBQ, peel them, add garlic and olive oil. Delicious! Cucumbers. All gone. 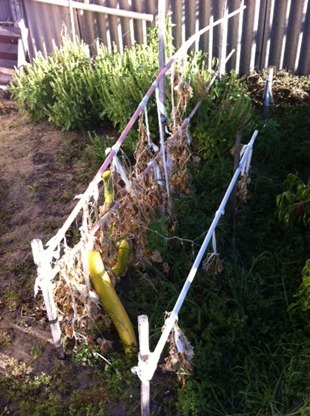 That big yellow thing is an over ripened cucumber. I am using it for seeds. Been doing this for years. Everyone should give this a go. 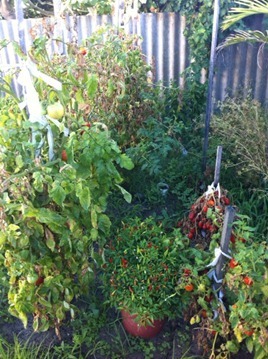 There is something ridiculously satisfying with jumping into the garden before dinner and grabbing some veges. I plan on expanding this and more on my farm. The extra land will allows me to experiment much more and add plenty of fruit trees. Exciting stuff! You live in a paradise. If I were you I would grow some of my favorite special herbs (for medicinal purposes only of course). Just found your blog recently and subscribed. Good stuff! After a recent move, we’re starting over from scratch, on five acres. I hope you keep updating as you get your new land going. I’m always looking for inspiration. Sounds awesome! Make sure you keep us updated!